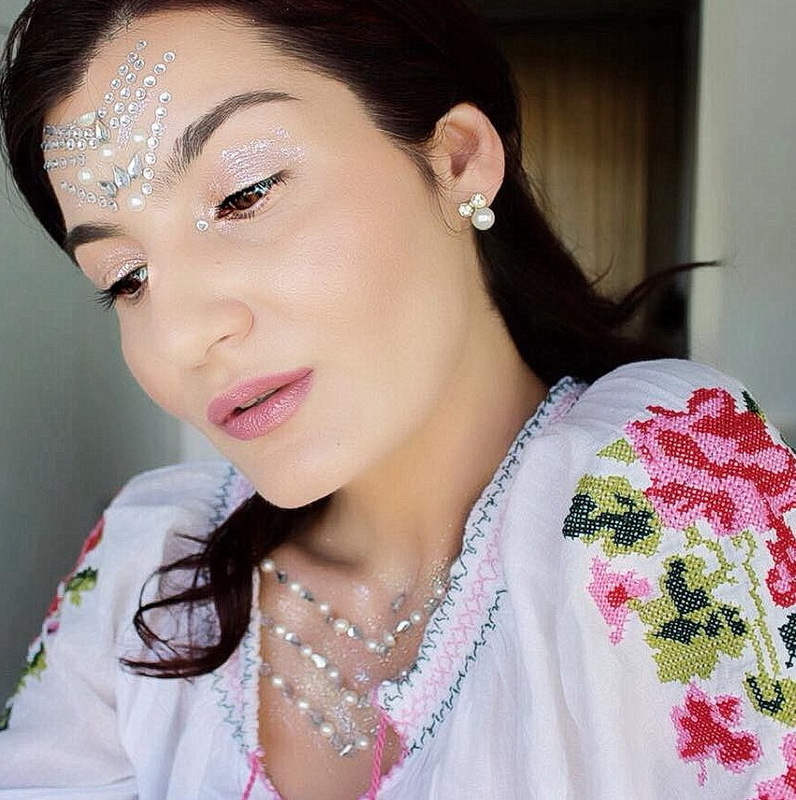 So guys this was my first attempt to do a festival makeup look and it was more fun than I imagined. I was really thinking that I might be too old to wear certain amounts of glitter on my face but actually it made me feel really pretty and magical. 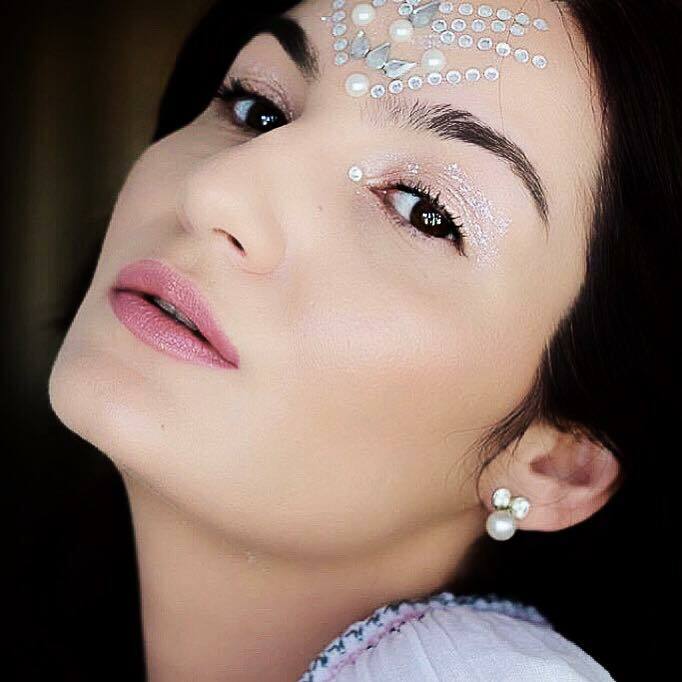 In other words: when in doubt add glitter ! I went for a relatively simple fairy look, very easy to do and I will list below all the products used, in case you feel inspired and want to recreate this makeup look. I started with a light preparation of my skin and because I went nowhere I skipped SPF but if you go to a festival or to a pool party dont forget to stay protected because skin cancer is a real thing and on top of that is also really nasty! 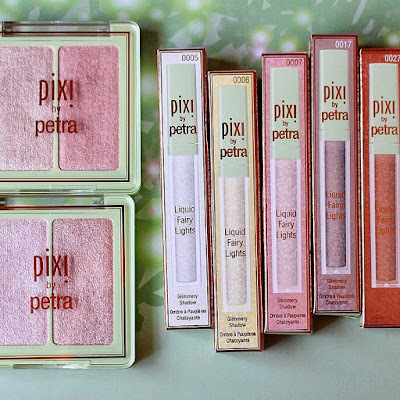 Right in time for the festival season Pixi by Petra released this beautiful glow makeup collection that has 5 stunning and super sparkly liquid eyeshadows and 2 splendid glow powders. The Liquid Fairy Lights eyeshadows are indeed ultra sparkly and full of 3D shimmering glitter. I was like wow, this is magical ! As you can see they look very similar to a lip gloss, in the beginning when just got them I really thought they are lip glosses, silly me!